The Sunnydene Hotel is run by a lovely couple and offers heart-warming hospitality, very much appreciated by many returning visitors. This is a place of comfort, from the traditionally decorated and spacious guest rooms to the generous and healthy cuisine. 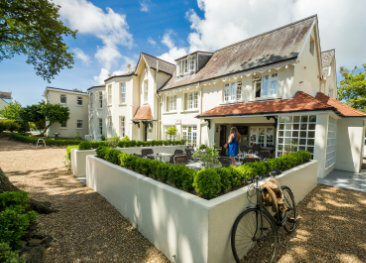 The mature and beautifully maintained gardens are just perfect for a day staying put and the bus stop outside the hotel is ideal for a day out. Please note the no children under 16 policy. There is a minimum stay requirement of 4 nights on all dates. 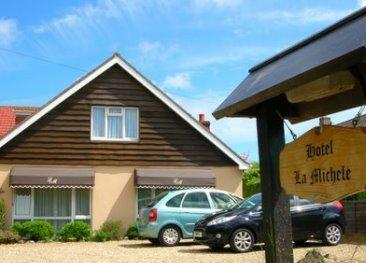 There is a choice of Standard and Garden Superior double and twin rooms. All rooms are en-suite and equipped with television, radio, hair dryer, toiletries, and tea & coffee facilities. The Chef at the Sunnydene provides delicious, homely and daily changing menus complete with irresistible puddings. Local ingredients including fresh fish feature as much as possible. The beauty of Guernsey’s south coast is breathtaking with cliffs, blue waters and a rich flora to discover while walking the pleasant country lanes known as Ruettes tranquilles. 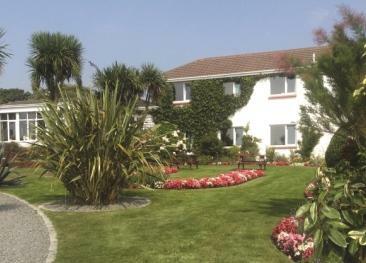 The Sunnydene’s gardens are a haven away from the hustle of the modern world, and are a great place to relax and enjoy Guernsey’s gentle way of life. The heated swimming pool and 18 hole putting green complete the perfect holiday experience. Some ground floor rooms with walk-in showers are available. Excellent food - very friendly hosts. Hosts excellent, friendly, food excellent. Room cleanliness excellent. If I'm being picky, room could do with a revamp, furniture a bit worn. I thought it provided an excellent value for money service, with great staff providing a high level of care. Though I didn't use the local bus service, the fact that a bus stop was immediately outside the hotel would I imagine be a great advantage.